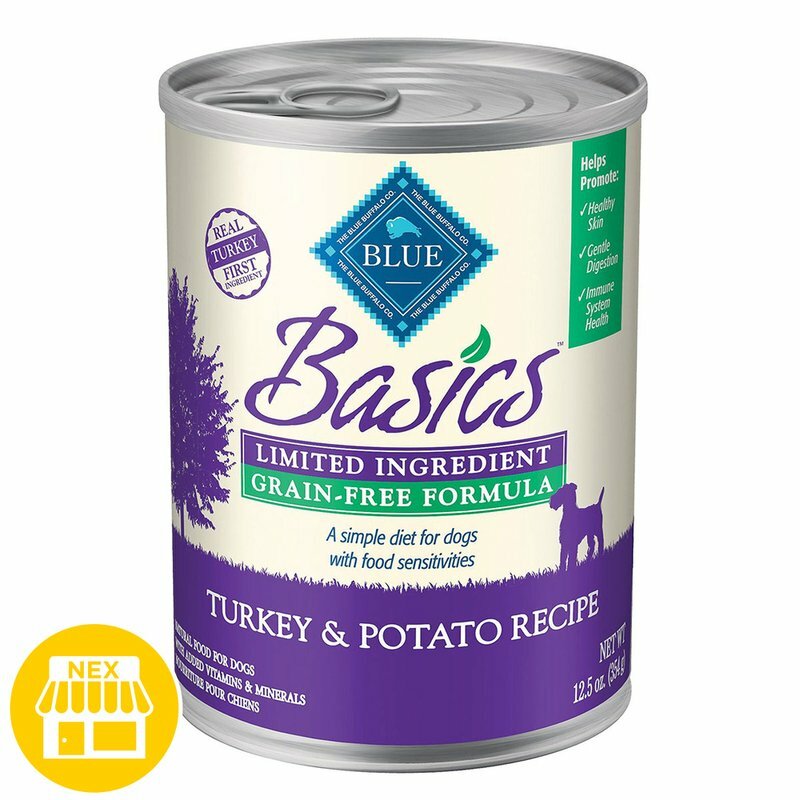 Blue Buffalo Basics Turkey Wet Dog Food, 12.5 oz. Available In Store only. Selection varies by location. Plus, it’s free from the grains that contain glutens some pet parents choose to avoid.